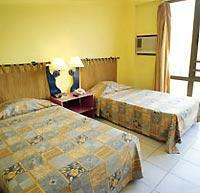 The Caribbean Hotel is possibly Havana’s best placed budget hotel. 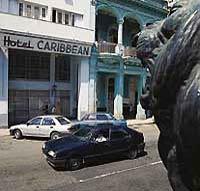 It is located halfway down the Paseo del Prado (The Prado), the border between Centro Habana and La Habana Vieja, and also very close to Parque Central and the Malecon. 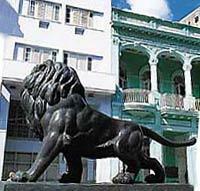 Most of Havana's attractions, including El Capitolio and the Great Theatre of Havana, are within easy walking distance. 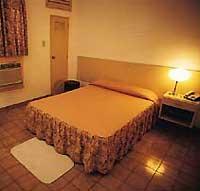 Hotel Islazul Caribbean has lobby, snack bar, Italian coffee shop, and the small Café del Prado restaurant. It provides a 24-hour reception, a concierge and a currency exchange. Guests can ask for information at the tour desk and after a day of exploring the local area, they can enjoy in the comfort of the hotel's air conditioned rooms. There are a number of inexpensive restaurants in the area. Guests are permitted to use the swimming pool at the Hotel Sevilla for the day for 20 CUC. Other pools nearby that you maybe permitted to use are at Hotels Parque Central and Saratoga. Islazul Caribbean hotel was managed used to be run by the Cuban hotel chain Islazul and since January 2017 it is managed by the Spanish chain Sercotel Hotels.